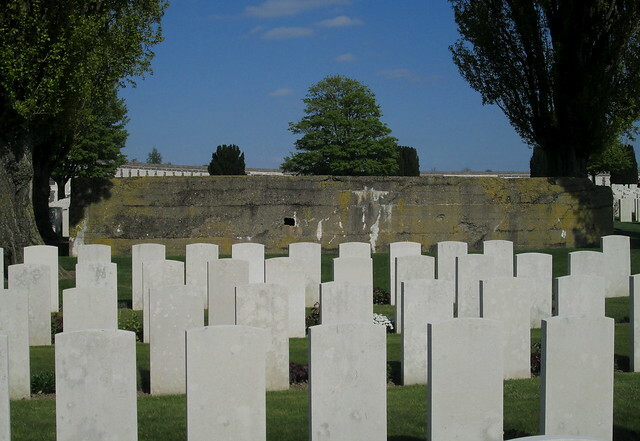 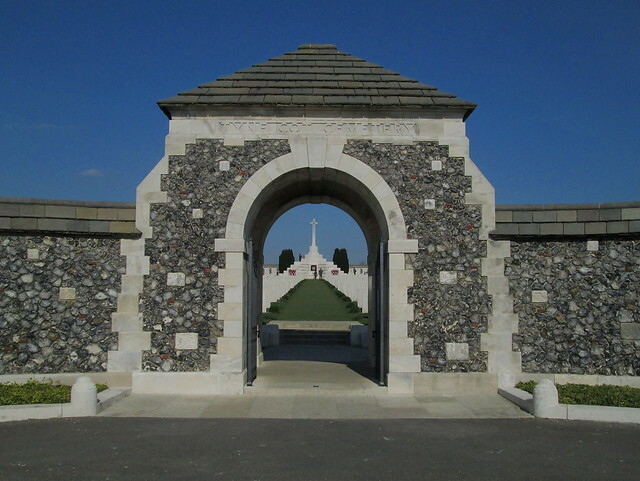 The northern wall of Tyne Cot Cemetery is a sweeping curve. 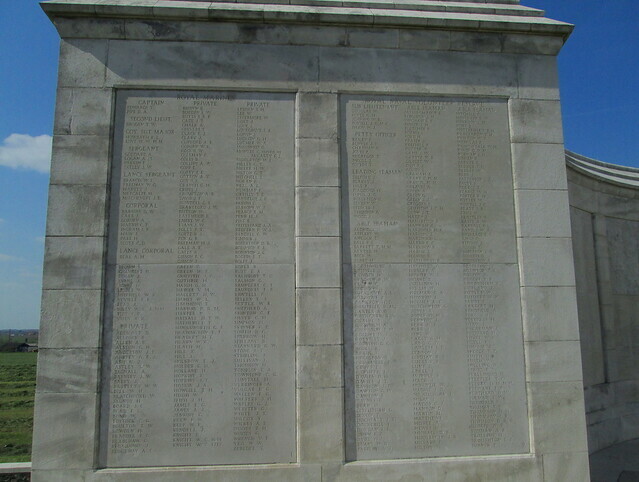 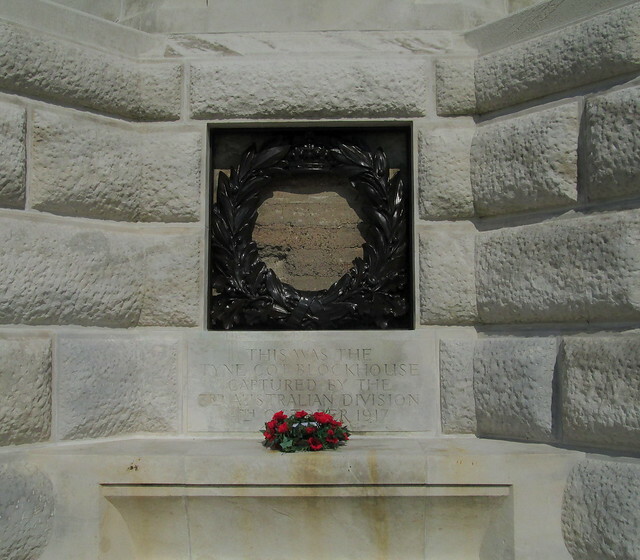 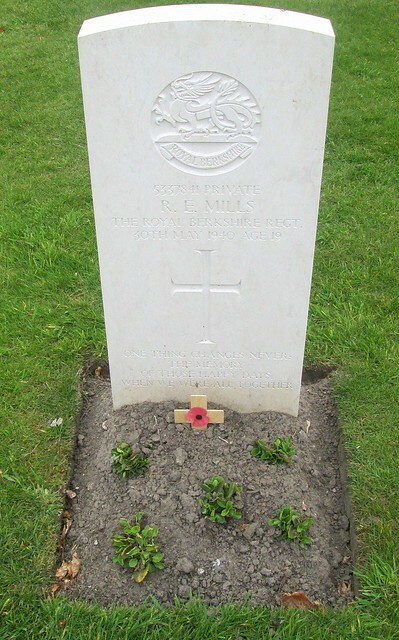 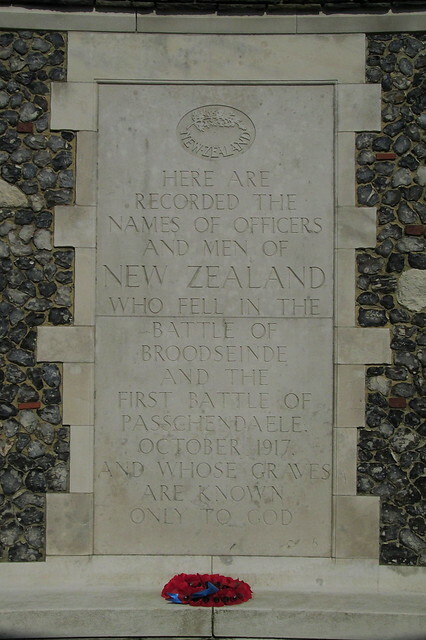 On it are engraved the names of those soldiers of the British Empire who died in the Ypres Salient after 15/8/1917 as it was found that on completion the Menin Gate was not large enough to contain all the names from the Ypres battles. 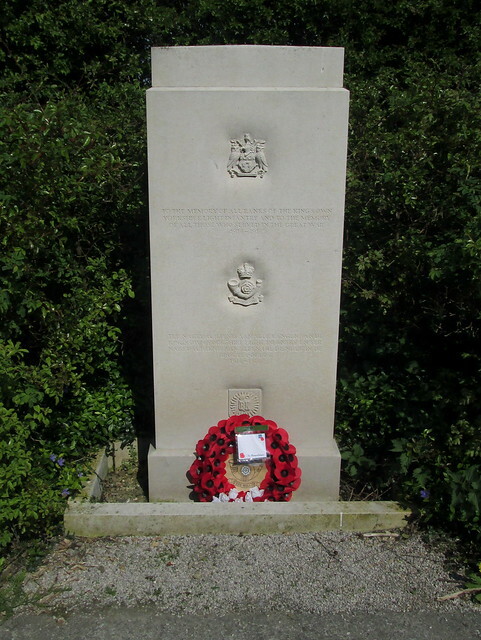 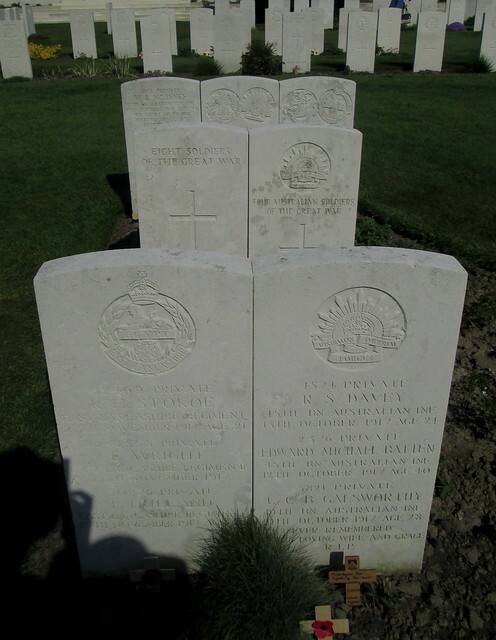 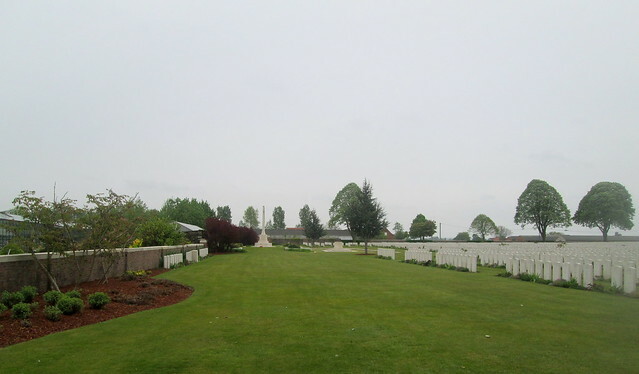 On the path from the car park to the cemetery lie three regimental memorials. 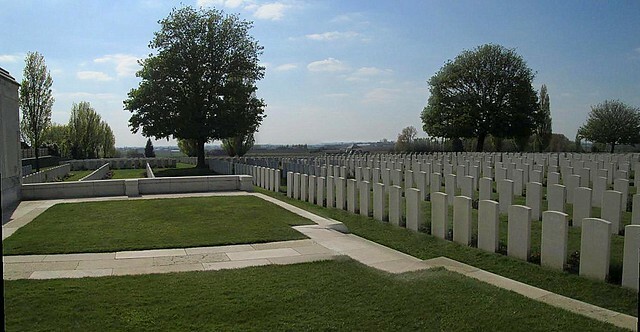 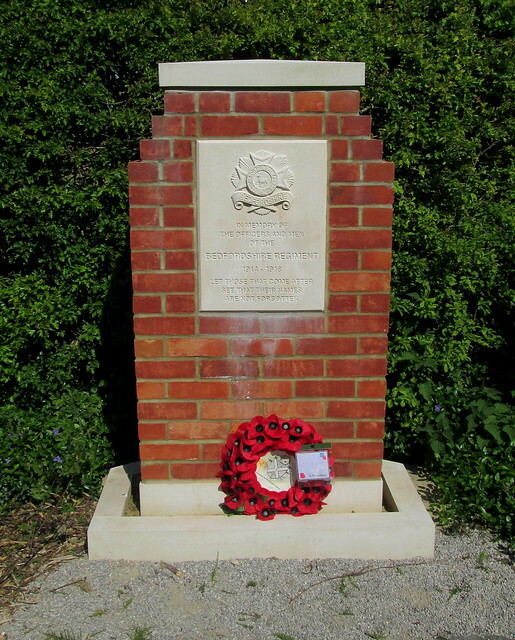 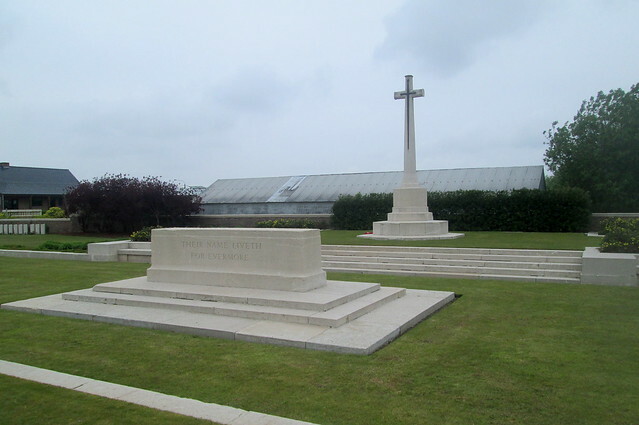 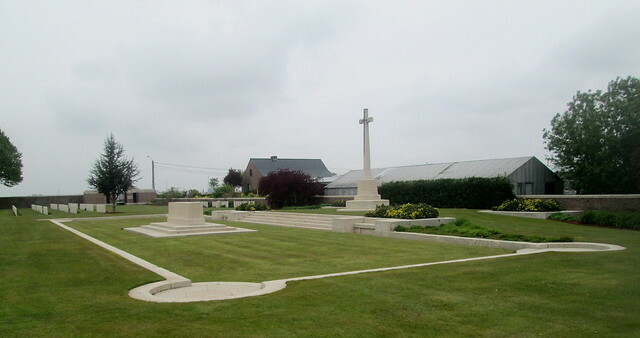 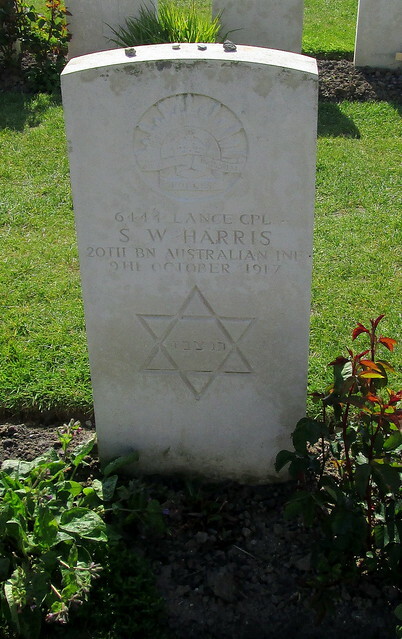 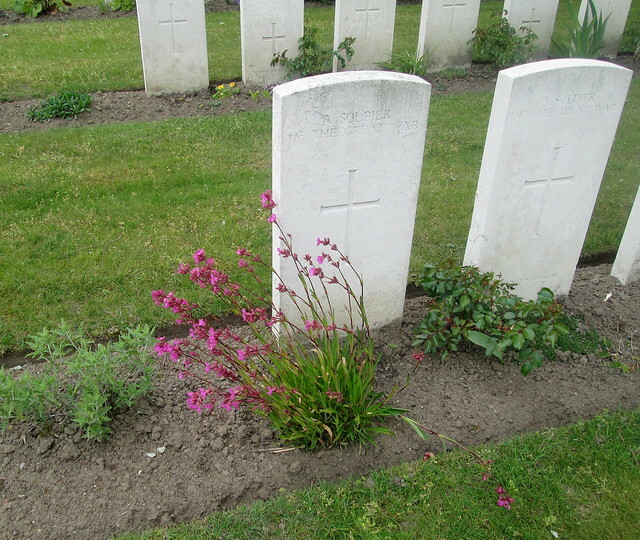 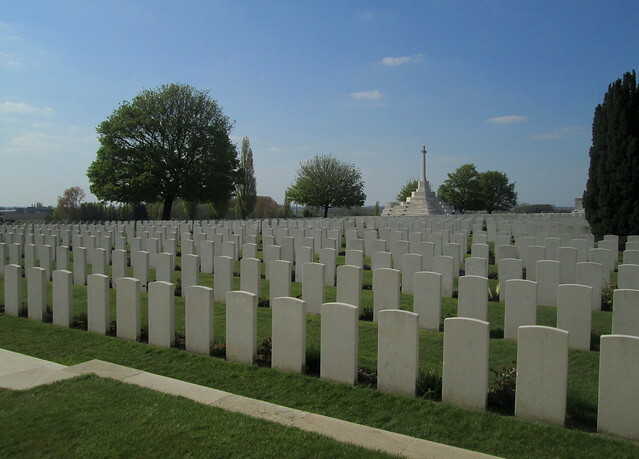 The cemetery is in numbers of burials now the largest Commonwealth war cemetery in the world. 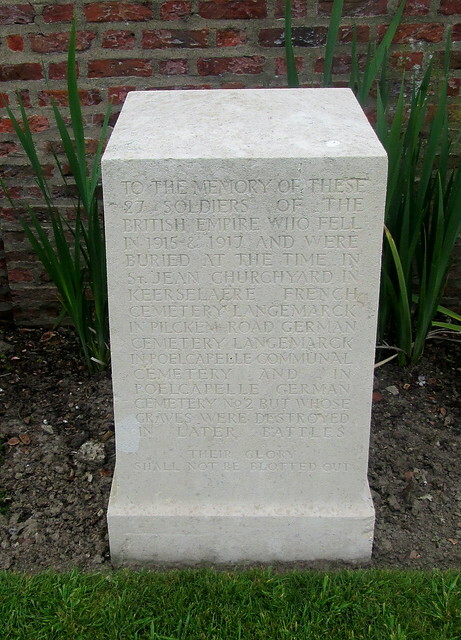 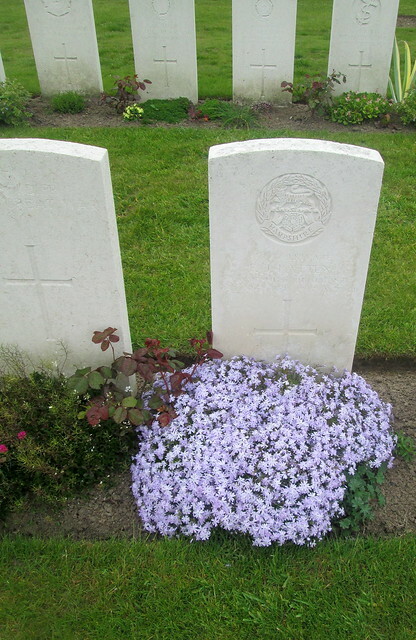 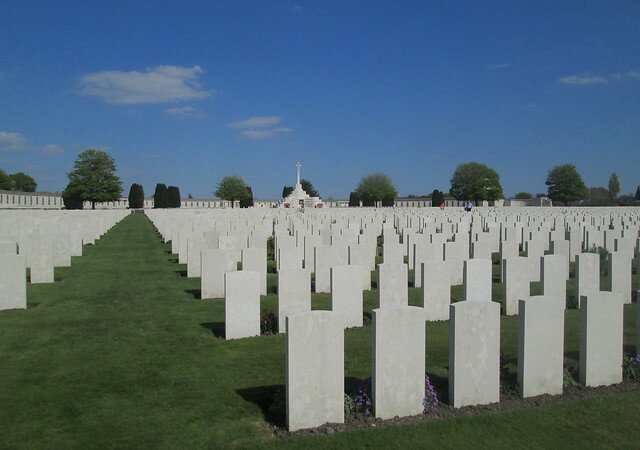 It is located 9 km north-east of Ypres (Ieper) town centre, on the Tynecotstraat, a road leading from the Zonnebeekseweg. 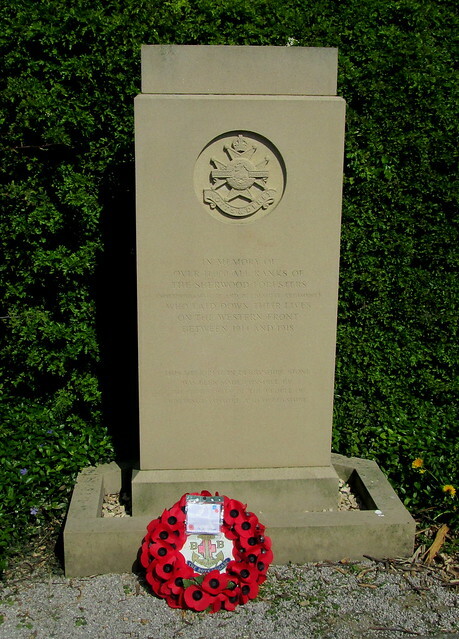 Its name derives from the nickname (Tyne Cottage) given to a German blockhouse by the Northumberland Fusiliers. 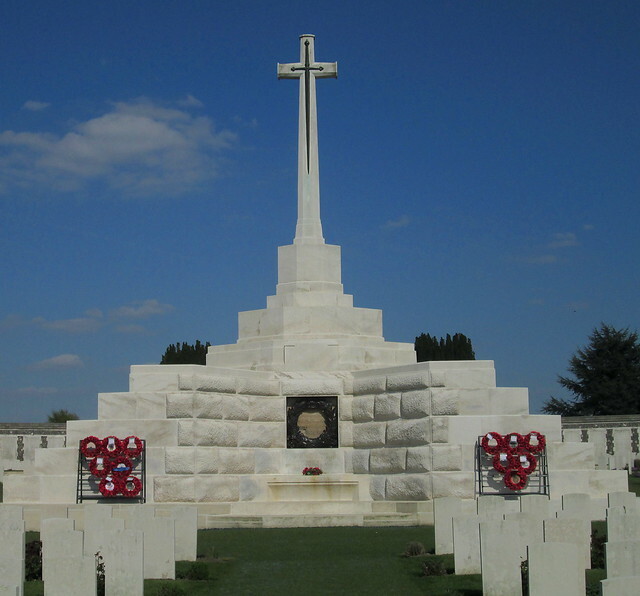 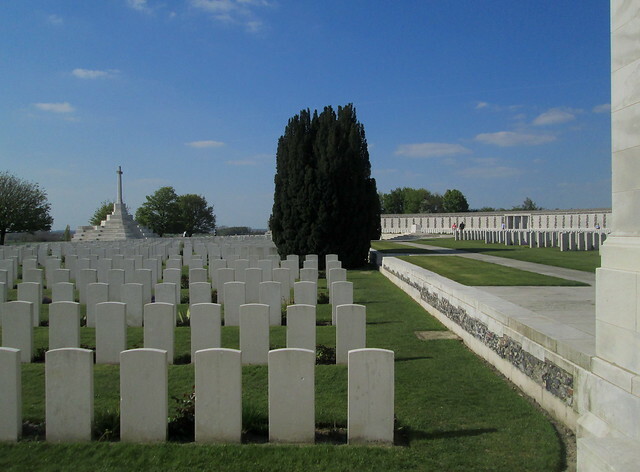 11,962 Commonwealth servicemen of the First World War are buried or commemorated in Tyne Cot Cemetery. 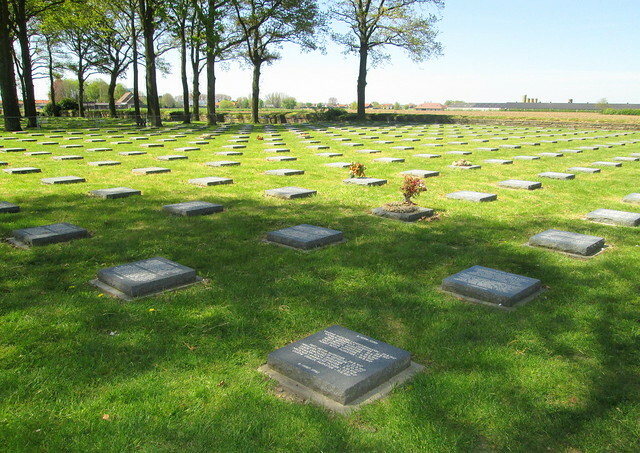 8,374 are unidentified. 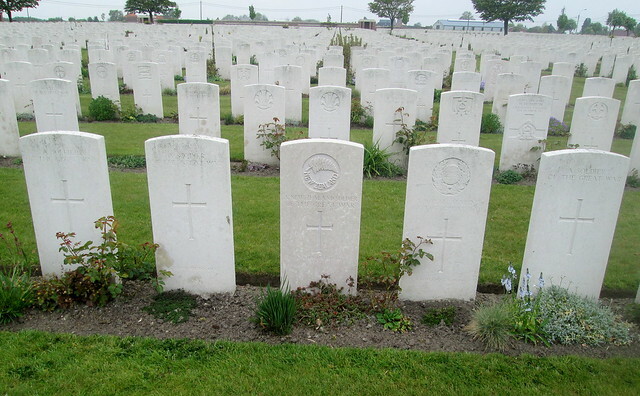 In addition there are four German dead only one of whose identities is known.